Let’s listen closely for God’s word to us in this Bible passage. Let’s think about what this means. God put a special star in the sky two years before Jesus was born. The star was in the part of the sky that was associated with, or made people think of, Israel. Magi were wise men in a different country who studied the stars carefully every night. They believed that this star announced that a new king of Israel would be born. They traveled to Israel’s biggest city, Jerusalem. In the palace, they announced the birth. They wanted to worship the new king, but Jesus wasn’t there. King Herod was worried. Herod asked the Bible experts where the Messiah was to be born. The prophet Micah had prophesied about the place of the Messiah’s birth centuries earlier. 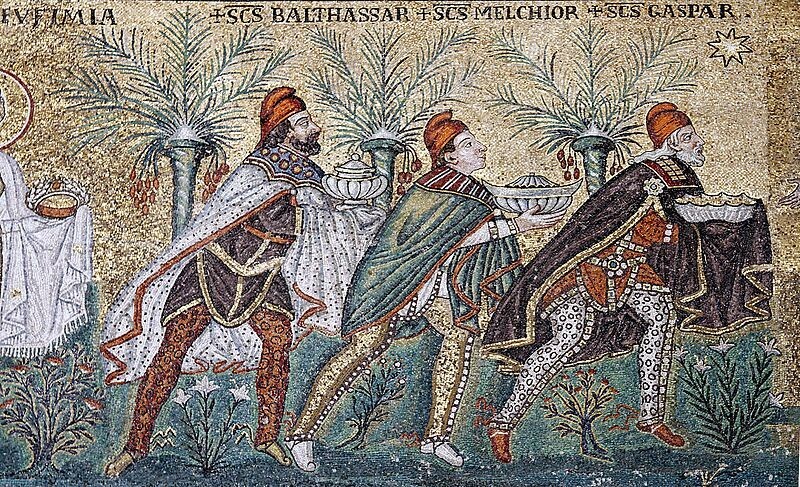 The wise men followed the star to the house in Bethlehem where Jesus, Mary, and Joseph were. The wise men were overjoyed! They bowed down, worshiped Jesus, and offered him presents. They gave him gold (money), frankincense (to worship God), and myrrh (fancy ointment). God gave the wise men a warning in a dream, so they took a different road home. Conversation: What stood out for you in this passage? Why did it draw your attention? Let’s pray. Dear God: Thank you for leading the wise men through nature, prophesy, and dreaming in their search to worship Jesus. We are overjoyed that Jesus is our king! Please help us to be generous like the wise men who honored you with their gifts. We pray in Jesus’ name. Amen. Verses Marked NIV are from the Holy Bible, New International Version®, NIV® Copyright ©1973, 1978, 1984, 2011 by Biblica, Inc.® Used by permission. All rights reserved worldwide.